After Google Ad sense Media.Net is a great option to make a money via Advertising.I t is a Yahoo/Bing Advertising Network. It is a great Alternative to Google Adsense. Media.Net is complete review your site seven to ten days and Fast Payment Process. Media.Net also Support Mobile Ads. Media.Net give an opportunity to customize your ads unit of style, size.color, shapes.It better with your blogs and website so guys hurry up to go to the website and click signup button. PopAds good monetizes in all world countries. The payout of PopAds daily basis as long as $5 per day or even some website receives thousand unique visitors so popAds payout $4.00 per day. Getting an account and site approvals is easy . It is network specialized in popUnders. Infolinks is a good Alternatives of Google Adsense. It is one of the most popular leading company in text advertising. Infolinks do not require any types of space for your website. It is directly inserted in the text. Infolink use some unique keyword your post to Showcase advertiser's ads.A simple way to getting approval 2-5 days only to review your website.it is to provide banner ads and text ads. Infolink provide a customer support 24x7 hours.if you have any issues send your queries and get the solution. Chitika is an internet advertising private company. It is targeted text Ads and also mobile ads. It is most Popular and It provides services publishers and advertisers to display advertising network. It also the Best Alternative of Google Adsense. Chitika Payment Rating is 4 out of 5. The minimum Payout Threshold $10 and Payment method via PayPal and Payoneer. Chitika provide a customer support 24x7 hours.if you have any issues send your queries and get the solution. 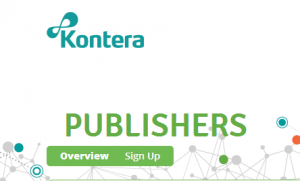 Kontera founded 2003. It is also a good Alternative of Google Adsense. It is an advertising company to targeted text ads like info link. Kontera payout method is very fast via PayPal.The minimum threshold $10.It better with your blogs and website so guys go to the website and click signup button. MadAds is a good alternative for Google. It is an Ad network. Easy to payout via PayPal and the minimum threshold is $10. 24x7 hours customer support services. If you have any types of issues send your queries and get a solution. It is also there campaigns network or cost per mile network. This adsense used like an App owner website owner or any types of blogger owner. It is a most popular good google alternative that you can use on the website, Android app and also any type of blog. ClickSor used so many types of ads like text links, text banners, graphical Banner, pop-unders. The payout of Clicksor depending on website performance and market conditions.The payment method is very easy via PayPal or checks your account. BuySellAds founded 2008. It is also a good alternative to Google. It is a Marketplace where publishers and advertisers come to meet. It gives so many offers for Monetization option like Ross Monetization, Andriod App Monetization, Email Monetization and also Tweets Monetization. Easy to payout via paypal and minimum threshold is $10. Adclick Media is another Advertising Network. It is a pay per click Advertising PPC, CPM, online text advertising, banner advertising. Adclick Media is a most popular advertising company. 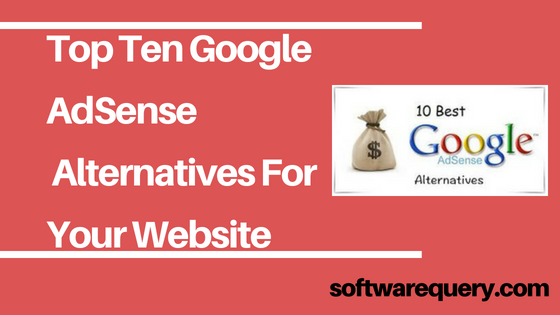 It is a good alternative for google adsense. It also gives a 24x7 customer support services. The payout method is very easy via pay pal. Go to the signup menu button and click publishers. PopCash is a most popular latest good alternative of Google Adsense. It is very similar to PopAds.It provides good inventory for all countries both for Android App and Website traffic. The payout method is very fast via PayPal,payza and paxum. The time of money transfer is maximum 24 hours.If you want to get ads to go to website signup option and click publisher to started with Popcash. Its very helpful thank you...!! !